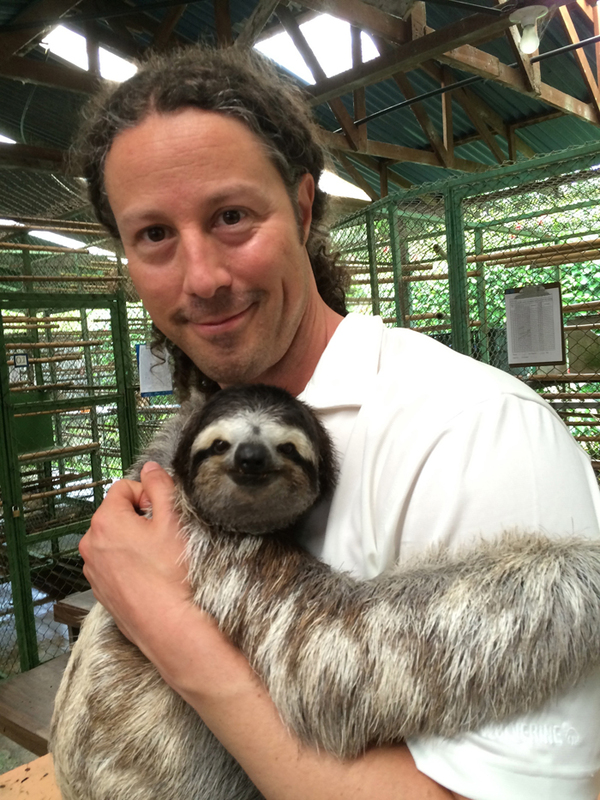 Michael T. Butcher, associate professor, Biological Sciences, along with graduate student Dylan Thomas and undergraduate research assistant Zachary Glenn, were in Costa Rica in late May and early June to conduct research on the specialized anatomy of the three-toed sloth. “These animals are rare in the wild and having the opportunity to study their muscles is a once-in-a-lifetime experience,” Butcher said. Butcher and the two students travelled to The Sloth Sanctuary in Limon, Costa Rica, and collaborated with Rebecca Cliffe, a British zoologist. They performed several experiments testing the strength of sloths. The team harvested muscle that will be analyzed in Butcher’s laboratory at YSU. “Perhaps most importantly, assembling a set of anatomical and genomic characteristics from three-toed sloths will allow the team to further test hypotheses surrounding the evolution of mammals,” Butcher said. Sloths are members of an assemblage of ancient placental mammals known as Xenarthrans, and knowledge of their emergence is important to understanding how and when other placental mammals like humans evolved, he said.